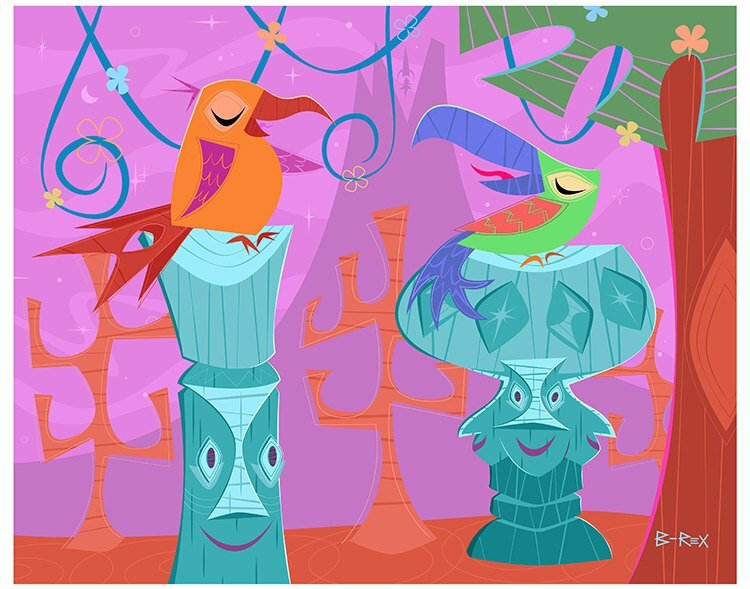 This signed lithograph has the Tiki spirit and we put a bird on it. 11x17 ships rolled in a tube. Free US Shipping.